2. Indirect Bonus: In version 2.0 the indirect bonus was up to 8 generation for all active packages but in version 3.0, it has been upgraded. Bronze to Gold packages is just 3 generations, premium package is just 5 levels, black package 6 levels, master package 7 levels and VIP package 8 levels. Same also applies to the monthly residual income. 3. Removal of some packages: In version 2.0 there are packages like partner($30) and Basic($55). In version 3.0 these packages have been scrapped. The reason for this is because these packages are no longer profitable with the increase in bitcoin price and transaction fees. Update reaching us is that,Bitcoin Payment is been sent to withdrawal address within 24hrs. Exercise a little patient and please read the new Bitclub 3.0 rules to know how to be eligible for withdrawal. We Hope you can withdraw soon. How long is it gonna take for he withdrawal button to appear. does it mean our old gains(2.0) are wiped out? Prince there is a new update that once you upgrade your Bitclub Advantage Account, you will be able to withdraw. Your earnings from 2.0 is not wiped out but its frozen. You can upgrade your current package to access your 2.0 earnings. I afiliated into bitclub 3weeks ago as gold client now all my benefits have been brought back to zero.what become my ninty something dollars that i benefited in the last 12days .where can i get it. please people which their accounts have not been upgrated have to be paid their old benefits. Am done with all this …..How can u guys just make a decision like that …..to upgrade we need to invest again when I have gained nothing from my previous investment…..Am done!!!!!! Why is my account still showing awaiting payment but my account gains and benefits is zero. My account is active too. Does it mean ave lost my money? Regarding your question please contact Mr Pablo on a Phone call or whatsapp – +2349083832420 or +2348117745973 he is in a better position to answer all your Bitclub Advantage related questions. Dear Kay, Bitclub advantage admins wants its investors to upgrade their account to bitclub 4.0 to enable them withdraw their funds. Please how can i withdraw my funds from my bitclub account ? When your account is active, do you still need to upgrade it? Please, may really explain to me what you meant in case by upgrading. One is feeling somehow frustrated. I would like to sell my account. Please somebody willing to contact me. Hi pls I just upgrade my account from gold to premium a day older before I was asked to renovate, please help me out as I have new investors, they didn’t earn a dime and they were asked to renovate now they are on my neck.. please help me out can I still withdraw after I renovate astleast my initial capital or not? 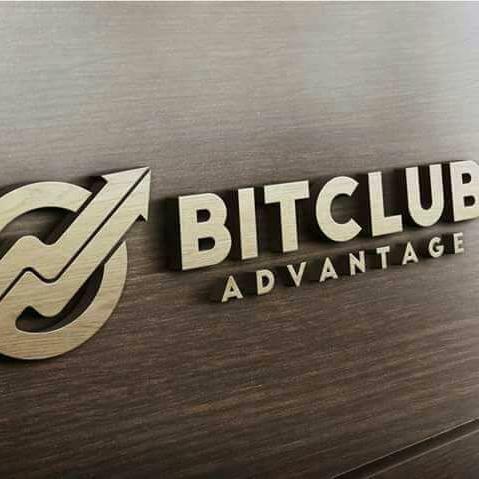 what i need is to know about our money which we invested in bitclub advantage,is our money safe or is gone already? Question People Ask: How Did Bitcoin Become This Expensive?